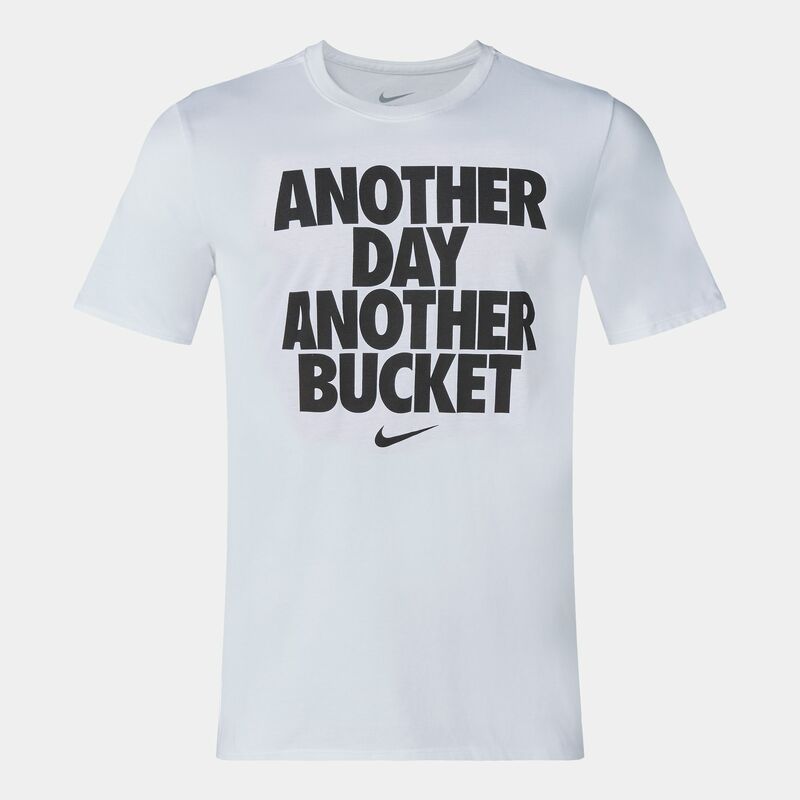 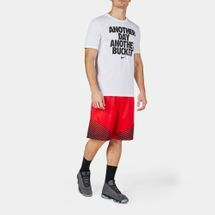 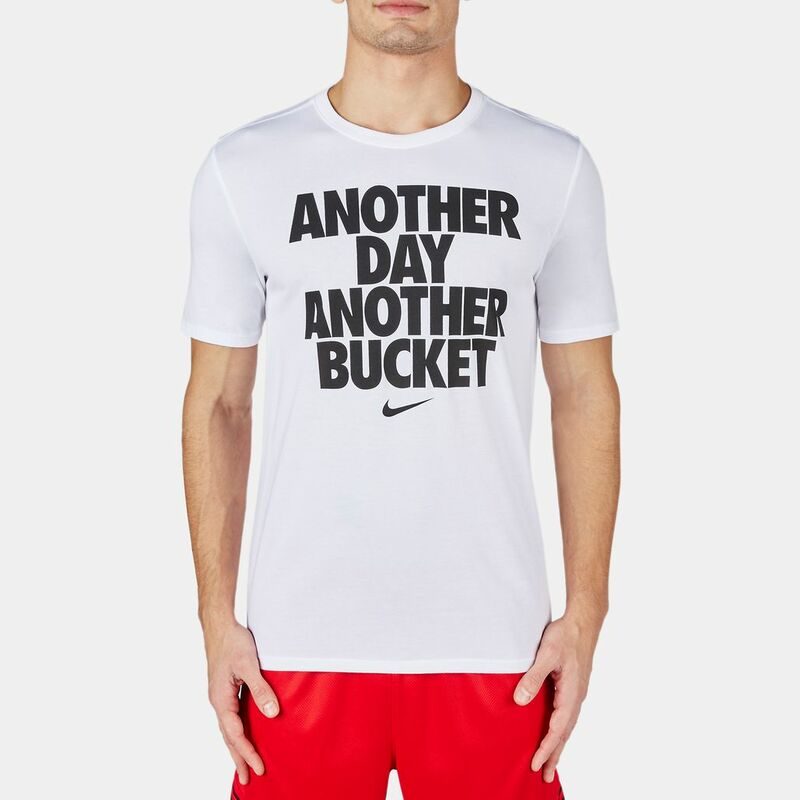 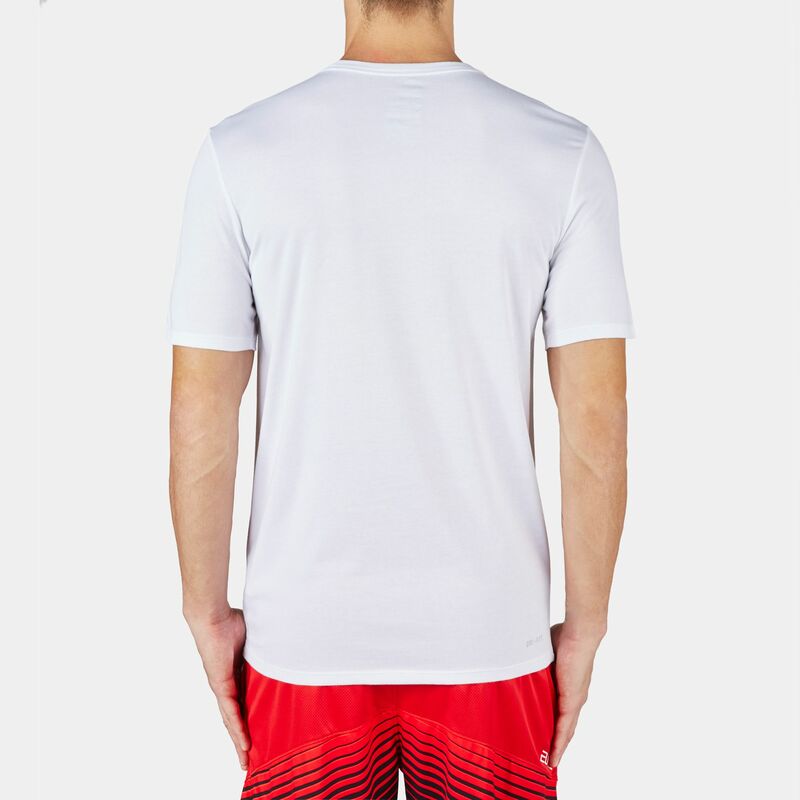 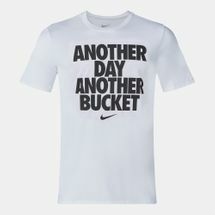 With a casual, unrestricted fit the Nike Another Bucket T-Shirt for men is made from sweat-wicking Dri-FIT fabric that keeps you cool and dry. 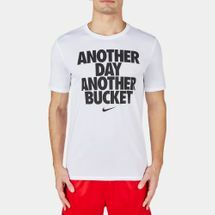 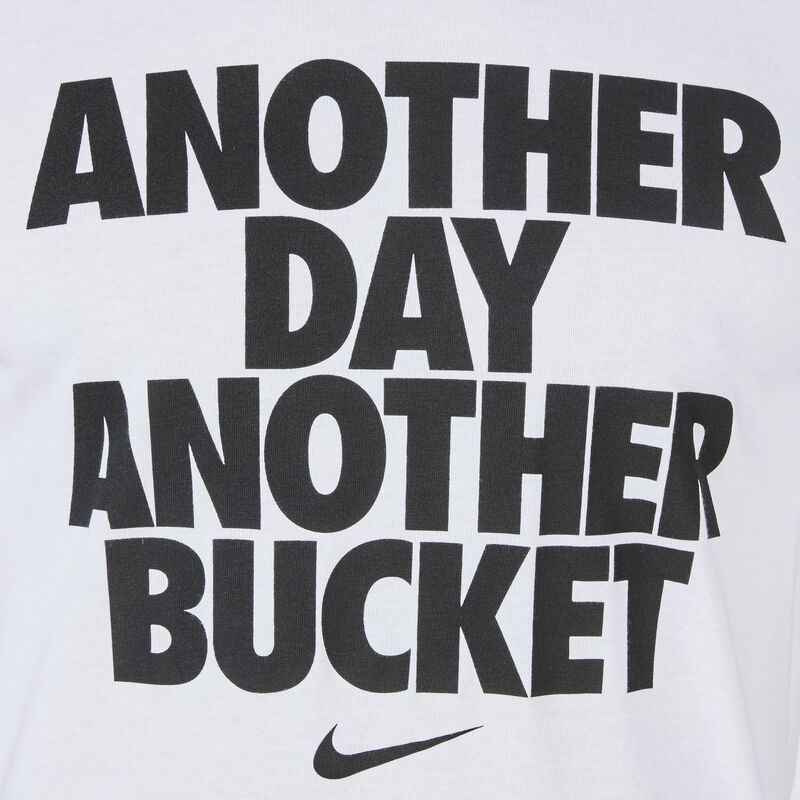 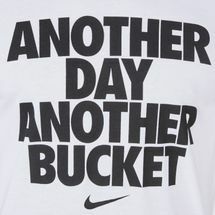 The logo "Another Day Another Bucket" is screen-printed on the front left chest. 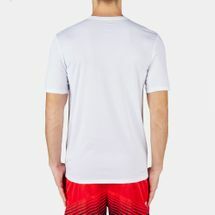 It has short sleeves along with a crew neckline for an easy to wear style.